Swimming pool plaster has changed a great deal in recent years. With the advent of pigments in the ’60s and the arrival of pebbles in the ’80s, first color and then texture were added to surfaces once only white and smooth. Now, reports Greg Garrett, two new admixtures are finding their ways into the mix to add strength and durability and further the evolution of these useful pool finishes. One certainly emerges from all the discussions that have taken place about swimming pool plaster over the past several years: The product has had plenty of room for improvement. Among the complaints has been that traditional white-plaster pool finishes simply haven’t kept pace with the rising expectations of owners, who increasingly want their pools, spas and waterfeatures to be entirely forgiving when their lifestyles limit the time they can spend on maintenance and upkeep. In that environment, in fact, traditional white plaster can be at a disadvantage, because its longevity and aesthetic performance depend heavily on the owner’s regimen of care – or ability to hire a capable service professional. Indeed, plaster is a big issue, with many unresolved questions. But there’s no doubt that making plaster more durable and capable of encompassing a broader range of aesthetic options is something that would please just about everyone, from the industry’s top architects and designers straight through to contractors, plasterers, service technicians and consumers. The good news is that cement technologies we’re now borrowing from other industries are being used to improve cementitious finishes’ resistance to chemical deterioration, reduce their reliance on steady maintenance and make them more adaptable to changing needs. 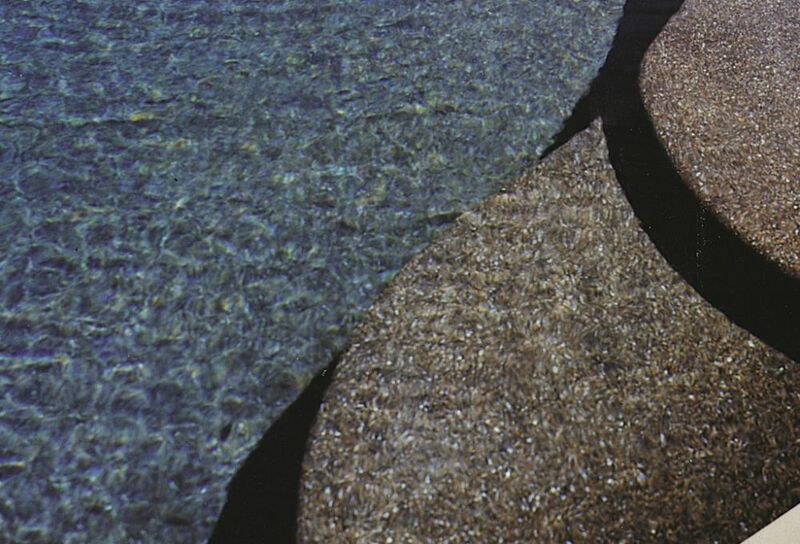 For convenience, I call these products the Three P’s: pebbles, pozzolans and polymers – a triad of additions that will, I believe, alter traditional pool plaster forever and for better. To understand swimming pool plaster and have any hope of improving it, the first thing you need to do is understand cement and the role it plays in the product’s performance. For starters, it helps to recognize that this branch of materials science has been around a long, long time. Cementitious materials were used in construction by the ancient Egyptians, Greeks and Ro-mans. Plaster used as a surface coating dates back just as far and enjoys rich traditions of use throughout world history, from the linings of wells and aqueducts of Biblical times to the ceiling of the Sistine Chapel in modern times. [ ] Admixtures: These are traditionally added to mortar or cement mixes to alter application or performance properties. Typical classes of materials include set accelerators, set retarders, water-reducing agents, pozzolonic materials and polymer additives. [ ] Aggregate: In traditional plaster, this is usually a white marble or limestone (a metamorphically altered calcium carbonate). In newer products, larger aggregates comprised of river pebbles or synthetically produced colored sands are often used. [ ] Concrete: This is a mixture of cement, water and designed portions of sand, gravel, crushed rock or other aggregates. Typically, the aggregate will comprise 70% of the total mix volume. [ ] Emulsion: A material made up of colloidal resins or oil particles dispersed in a water system. [ ] Latex: An emulsion of a natural or synthetic polymer in a water phase. [ ] Monomers: A material composed of single molecules – the basic building blocks used in making polymers. 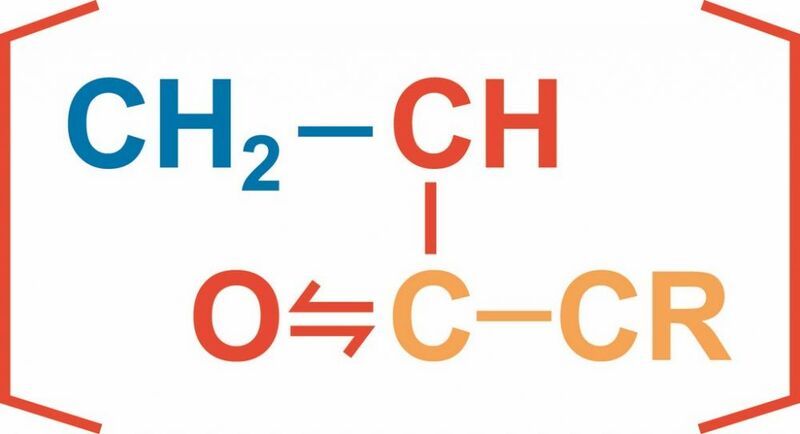 [ ] Polymer: A compound formed by the reaction of simple molecules having functional groups that permit their combination to proceed to higher molecular weights under suitable conditions. [ ] Portland cement: A finely inter-ground mixture of calcium silicates, calcium aluminates, calcium oxides and other end products that result from processing selected raw materials (primarily limestone and clay) through a rotary kiln. The kiln product, known as clinker, is ground with predetermined amounts of gypsum (4-5%) to produce the final cement product. Portland cement is a hydraulic material: When mixed with water, it reacts and hardens after setting, even under water. [ ] Resin: A material (usually a solid or a viscous liquid), natural or synthetic, used as part or all of a film-forming phase with paints, varnishes, lacquers and other materials. For the past 175 years or so, mortar, concrete and other building materials have been made with Portland cement, the primary ingredient in many of today’s most commonly used forms of cement and concrete. 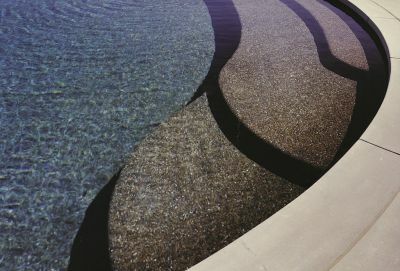 For its part, the modern swimming pool industry has used white Portland cement and an aggregate (marble, limestone or silica sand, for example) as the preferred interior finish in concrete swimming pools for most of this century. What part does the cement play? According to F.M. Lea, one of the most eminent of all cement chemists, this material is best defined as “adhesive substances capable of uniting fragments or masses of solid matter to a compact whole.” It’s a wonderfully clear description that holds true for all sorts of structural and decorative forms, from pools and spas to fountains and waterfeatures. To be sure, Portland cement and the basic components of white plaster have changed little over time. Part of the problem, therefore, is that they are surrounded by other components of swimming pool installations that have undergone major transformations. So plaster stayed white and white only while accompanying structural materials, equipment, decking, lighting and other systems all changed, often dramatically, as did approaches to chemical maintenance. And it’s important to note that when change did come and pigments finally arrived to bring much-needed variety to traditional white plaster in the 1960s, it did nothing to alter the physical nature of the product. It’s easy in hindsight to knock plaster as not having kept up with the times, but the fact remains that it was the one element of the overall package that didn’t seem to need “fixing.” In fact, the stability and reliability of white plaster over so long a time offers enduring testimony to its merits as a product, no matter how much it might benefit from improvement. In other words, my intention here isn’t to knock traditional plaster; rather, my interest is in examining its developmental history and pointing out key improvements that may make plaster a key player in swimming pools, spas and waterfeatures for generations to come. Thought to have originated in Australia as an interior pool finish (a point that’s proved difficult to confirm), pebble surfaces were introduced to the U.S. market in significant numbers in the mid-1980s for pool interiors as well as in decking materials. Pebbles caught on slowly, but eventually grew to redefine markets in many regions, particularly among more affluent consumers. In 1987, for example, pebble finishes accounted for less than 3% of the market in Phoenix. Ten years later, they were approaching the 50% mark – a fantastic growth curve that can be attributed to several key factors, including the natural appearance of pebble finishes, the variety of available “looks,” a desirable texture and, most important, the product’s durability. Despite the dramatic shift in appearance pebbles provide, the difference is mostly one of method: During the application of pebble finishes, the surface cream is misted or washed off as a slurry that is subsequently pumped to an onsite holding area or tank and later hauled away. With the surface cream removed and the pebble aggregates standing just proud of the cement binder, the result is a surface on which it’s extremely difficult to detect any etching or physical deterioration as the pool ages. This “hide factor,” as I like to call it, also helps conceal a variety of stains. In addition, the variegated pattern of the multi-colored pebbles visually breaks up the pattern and appearance of many types of mineral deposits. As a result, the mottling or shade variations so common in white and especially colored plaster interiors become less of an issue through pebble surfaces. On the contractor side, it’s also a fact that pebbles require an investment in new tools and systems, including specialized slurry pumps, misting pumps and wands, and slurry-containment equipment and disposal measures. 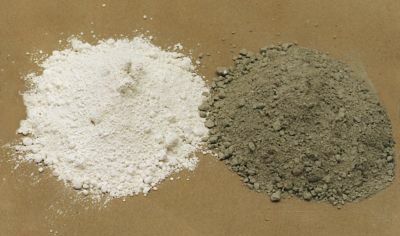 In addition, most pebble surfaces are mixed at a one-to-one ratio, or one 94-pound bag of white cement to one 100-pound bag of pebble (plus associated pigments that give these products their unique colors). All of this has a direct influence on cost per square foot – and on the customer’s comfort zone in terms of expense. As time has passed, other materials have joined pebbles in the realm of exposed-aggregate finishes. 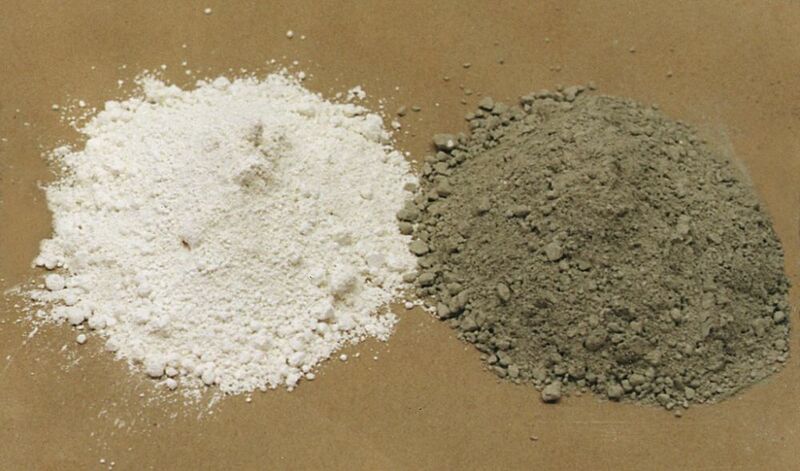 Many of these use white cements along with aggregates and synthetic aggregates of various sizes and colors. As with pebbles, the installation process involves removing the cream (or laitance) by one of several methods including light acid washes, in-air acid processes or combinations of acid washing and polishing with specialized equipment. Many of these finishes incorporate pigments giving the consumer choices other than traditional white. When used in conjunction with the synthetic aggregates, the applicator truly can offer an exciting range of below-water combinations. I specify “below-water” here because the other exposed-aggregate finishes do not stand up as well as pebbles do in dry, sunlit conditions. Where pebbles can “emerge” from the water on rolled-beam or beach-entry designs, the smaller exposed-aggregate surfaces tend to crack and/or delaminate from the shotcrete when exposed. Of course, exposing pebbles at the water line makes them subject to mineral deposition that can lead to a need for frequent acid washes and, in severe cases, blasting with glass beads. All in all, however, the desire for this new look makes it clear that pebbles (and exposed-aggregate finishes of all other types, for that matter) are here to stay. More exciting still is the possibility that these finishes, along with traditional white and colored plaster, are now benefiting from two classes of admixtures that dramatically enhance their durability. The interesting thing is that the first of these admixtures – that is, pozzolanic material or pozzolans – is among the most ancient of all cement additives. These materials usually fall into one of three major groups. The first group consists of raw or natural pozzolans, which are usually (but not always) of volcanic origin. Santorin earth and Shinasu are, for example, found in the volcanic soils of respectively, Greece and Italy or Japan. For their part, the Romans used natural pozzolans and lime as construction materials in producing many of the world’s most enduring aquatic structures. The second group of pozzolans is composed of natural products that have been heated at high temperatures (or calcined) to form highly reactive materials. Examples here are burnt clays, metakaolin and husk ash. The third group includes industrial waste products such as fly ash and ground, granulated blast-furnace slag. The use of fly ash to prevent efflorescence is familiar among those who apply shotcrete for pool shells and install decking around pools. As such, pozzolans have an ability to perform a sort of alchemy in pool plaster by taking the weakest component of pool plaster – that is, calcium hydroxide, which is produced by the reaction of Portland cement and water – and changing it into a stronger compound. This calcium hydroxide is of critical importance: Highly soluble, it constitutes about 25% of all the cementitious compounds formed as cement reacts. 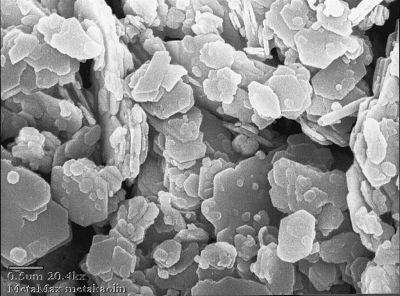 Poz-zolans neatly convert the calcium hydroxide into one of two of the strongest, least-soluble calcium compounds – that is, calcium silicate or calcium aluminosilicate hydrate. This lead-into-gold transformation is especially interesting in light of the fact that spot etching, general etching and other plaster phenomena are often associated with the selective dissolution of calcium hydroxide. In other words, when you chemically convert highly soluble calcium hydroxide into far less soluble compounds, you increase the plaster’s ability to resist deterioration in the presence of aggressive water. I began adding pozzolans (mainly calcined clays) to my mixes in the early 1990s and immediately noticed real improvement in the plaster’s resistance to etching – not to mention improved workability. Most pozzolanic materials are extremely fine – often smaller than the cement grains themselves, which are usually only 7 to 10 microns across. Because of their size, pozzolans offer a physical edge in addition to their chemical one: These tiny particles function as fillers in the minute “interstitial” areas between cement particles, thus reducing the porosity of the cement as well as its permeability. The main downside with pozzolans also has to do with particle size: Despite small size, they have large surface areas, which increases water demand. This results in a need to monitor the relative percentage of pozzolans in use and, possibly, the need to use specialty admixtures such as water-reducing agents. Helpfully, there are now several pozzolan-modified cement products on the market as well as several blended cements that already include aggregates and other additives. Pozzolans also are available in raw form, but using them requires familiarity with (and control of) the dynamics of the overall mix and getting relative proportions just right. The final component in my “P Triad” has not enjoyed centuries of use, as have the other materials discussed here – but they nonetheless have been around a good while. Indeed, polymers have been used in the cement industry for more than 75 years now, with the first polymer-modified cements gaining their patents as early as 1920. These early products mixed latex (rubber) with cement to create specially modified mortars and concrete. That’s not entirely helpful, but what he’s saying is that polymers are essentially big, synthetic molecules that have been designed for specific purposes. A student at a seminar I was teaching once commented that he saw polymers as “special glues” (and pozzolans as “special dirt,” which I also liked). His intention was humorous, but his approach comes close to that of many chemists who refer to polymers as chemical glues that form a co-matrix with the mineral glues of cement and pozzolans. 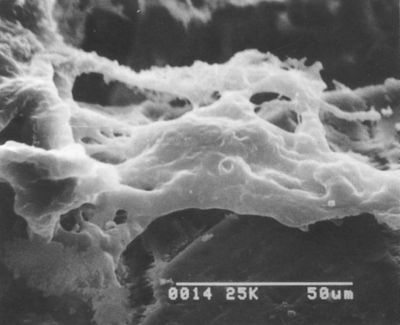 In other words, almost all polymer-modified plaster mixes are characterized by a co-matrix consisting of, on the one hand, a matrix of coalesced polymeric material and, on the other, a matrix of cement particles that have, through gel hydration, interpenetrated into one another and developed a monolithic structure. The second major feature of polymer-modified plaster mixes is the formation of a surface film composed of closely packed polymer particles. These unique characteristics allow polymer-modified plaster mixes to enjoy greater water tightness, greater resistance to chemical deterioration by aggressive waters and greater workability. Additional benefits include increased adhesion to shotcrete substrates – often critical in renovation projects. The most popular polymer materials on the market today are acrylic latexes and powdered emulsions and silicon-based materials. These products can be added on site with traditional plaster components, white cement and calcite aggregates in liquid or dry form. Several suppliers also pre-blend them or package them separately as additives for on-site use. As with any new product or additive, you need to know what you’re getting into with polymers. I strongly suggest checking with suppliers about your intended application. Some polymer additives, for example, have excellent adhesive characteristics that make them useful in bonding new plaster to old shotcrete; unfortunately, these products also yellow or discolor when exposed to ultraviolet light or sunlight. Other products may form a film on the surface and then break down or re-emulsify in the aqueous environment of a watershape. You should also check to see if the material is repairable or serviceable in the event that a minor repair is required. For example, will sanding a metal stain off the surface harm the surface film? You also need to watch mix proportions carefully: As with pozzolans, polymer additives should be used in careful balance with the weight of cement or the total mix weight. Too little or too much may have extremely detrimental effects on the final appearance, workability or resistance to chemical deterioration. The last caution: Temperature sensitivity can be an issue with polymer-modified mixes. Most concrete masons and plasterers are aware that ordinary cement does not hydrate at low temperatures; they also need to know that most polymers will not coalesce at temperatures below 45 degrees Fahrenheit and may actually inhibit the cement from hydrating or actually “kill” the materials. When in doubt, test the temperature of the substrate before applying these materials with one of several devices available on the market. My favorite is a gun-like device that you aim from about 12 inches above the substrate. All you do is pull the trigger to determine surface temperature in degrees Fahrenheit or Celsius. Within limitations described here, these additives and mixes provide excellent options for the builder, subcontractor and consumer. In fact, many can be sold with extended warranties that protect buyers from many of the common complaints about traditional plaster, from delaminations to spot etching – fresh reasons why these special products are attracting attention and displacing traditional plaster finishes. To be sure, these developments are only the latest steps in an evolutionary chain that started with the first plastered pools and will continue until the industry attains the ultimate “fill it and forget it” finish. My sense is that the P Triad represents a great step forward in this developmental process – the clearest pathway now available when it comes to giving customers the trouble-free finishes they crave while allowing builders and subcontractors to work with materials, systems and applications they know well. Greg Garrett is director of operations and research for Mason Mart, a distributor, blender and manufacturer of cement products based in Phoenix, Ariz. Garrett has been part of the pool industry for nearly 30 years, beginning in 1970 in his father’s company, Patio Pools of Sierra Vista, Ariz. He later served as a superintendent, service supervisor and field-operations manager for Shasta Pools in Phoenix for 13 years, becoming involved in virtually every aspect of swimming pool and spa construction. Garrett is past chairman of the National Spa & Pool Institute’s Builders Council (1994); he is also a past regional vice chairman for the National Plasterers Council. Garrett began studying cement and plaster science in 1983 in an effort to better understand plaster phenomena. Since then, he has read dozens of texts on the subject, conducted numerous informal experiments and lectured or written on the subject in several trade and technical journals.